An Accelerated MBA from Florida State University College of Business is designed for students who are disciplined, organized and receptive to fast-paced challenges. You will acquire critical quantitative skills in specific business disciplines and a strong foundation in effective leadership, teamwork, ethics and communication. The three-semester program begins each May. Elective flex courses can be tailored for careers in accounting, marketing or real estate. A global business seminar, which culminates with an overseas trip, will provide you with an invaluable international business perspective. An Accelerated MBA from Florida State University College of Business is designed for students who are disciplined, organized and receptive to fast-paced challenges. You will acquire critical quantitative skills in specific business disciplines and a strong foundation in effective leadership, teamwork, ethics and communication. The three-semester program begins each May. Elective flex courses can be tailored for careers in accounting, marketing or real estate. A global business seminar, which culminates with an overseas trip, will provide you with an invaluable international business perspective. The Admissions Office at Florida State University requires all of the following from applicants to its MBA program: two official copies of transcripts for all post-secondary academic work; an official GMAT score report; three letters of recommendation from former professors and/or employers; a current resume; a personal statement; and a Florida Res...The Admissions Office at Florida State University requires all of the following from applicants to its MBA program: two official copies of transcripts for all post-secondary academic work; an official GMAT score report; three letters of recommendation from former professors and/or employers; a current resume; a personal statement; and a Florida Residency affidavit, if appropriate. Students must have proficiency working with PCs. International students whose first language is not English must also submit an official score report for the TOEFL (minimum score: 600 paper-based test, 250 computer-based test, or 100 Internet-based test). All test scores must be no more than five years old. The school lists the following programs designed to increase recruitment of underrepresented and disadvantaged students: the FAMU Feeder Program, FAMU Graduate & Professional Days, GradQuest, MBA Advantage, Minority Student Orientation Program, Leslie Wilson Assistantships, the Delores Auzenne Minority Fellowship, and the University Fellowship. Because FSU’s MBA program is small and largely part time, the school does not maintain a separate career services office for graduate students in business. It does, however, spon­sor an MBA Internship Program in which “carefully structured project work” allows both students and employers to “realize the benefits of this program.” The school also offers coaching and career-related resources in order to help students plan their job search and marketing of their skills. The school hosts semi-annual MBA Networking Night events and on-campus and videoconference interviews. It also provides students access to a host of job-posting resources. Students report, “Our career center is great about creating internship opportunities. However, as far as full-time positions after grad­uation, the focus is more on undergrads. There are few recruiters [who] come specifical­ly for MBAs.” In the plus column, “Networking seems to be one of the biggest strengths of Florida State. Through the College of Business, my sorority, and all the amazing staff, the opportunities are endless.”Employers most likely to hire FSU MBAs include BB&T, CSX, Harris, JP Morgan, Protiviti, and Wachovia Bank. 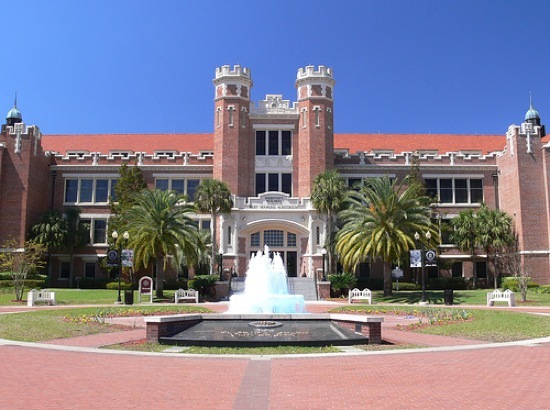 The Florida State University College of Business equips the CEOs of tomorrow with the analytical tools needed to excel in the world's marketplace. FSU's online MBA, the perfect fit for the top executive on the go, is taught by the same world-renowned scholars who lecture on campus. Online students learn alongside professional peers who bring their own valuable work experiences to the online dialogue. FSU's accelerated full-time MBA offers a fast track in an atmosphere that fosters creativity and rewards problem-solving. Want more info about Florida State University College of Business Full Time MBA? Get free advice from education experts and Noodle community members. How quickly can I complete my MBA at Florida State?